I’m often asked – “Can Reiki treatment help stomach complaints and anxiety?”. The stomach area is one of the main areas where we hold our feelings, emotions fears and anxieties. This can manifest in nervousness, tummy ache and general discomfort. The saying " I feel sick to the stomach" illustrate this. I know that I feel negative emotion in my stomach and this is a form of stress which sometimes depending on the severity can lead to all sorts of problems. The flow of energy in our bodies therefore will be disrupted and that's where Reiki comes in. I run a Reiki practice from my home in central London, SW6 and people come to me with various stomach complaints. 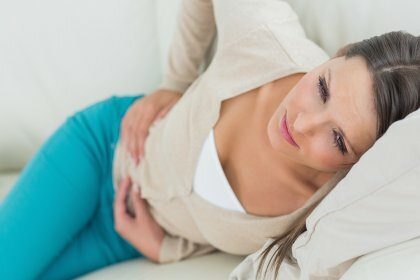 A Reiki treatment can help people with IBS and colitis to manage their symptoms. The Reiki energy goes to where the client needs it and I act as the channel/conduit for the reiki to go through me and out through my hands into the client. The Reiki heals the affected area by charging it with positive energy which then allows the life force energy within us to flow in a healthy and natural way. This can alleviate the symptoms and leave the client in a relaxed state which in turn will promote natural healing. "I suffer on and off from IBS and during a bad attack which had lasted a couple of weeks, I decided to see Georgiana to see if she could help. Georgiana spent nearly 45 mins wither her hands on my tummy and the warmth and relief coming from her hands was fantastic. My colon which was inflamed really calmed down, and within a few days my IBS was much better. I will definitely go back to Georgiana when I suffer from IBS again.” Mrs A, South London. If you would like to know if Reiki Treatments will help you or someone your know, please book a free telephone consultation.